Convenience and stability, that's what you want in a folding treadmill. The new and improved EVO Treadmill by Smooth FX25 offers both. This folding treadmill combines proven durability with an affordable price. Featuring the EVO patented Swing Arm suspension, Motion Control and a large 20" x 54" running surface, makes the FX25 a value packed treadmill. (5) window LCD Backlit Display. User weight capacity – 275lbs. ToughTrain 3.5 out of 5 Best suited for normal daily workout. Do not expect for much motivational features. TreadmillDoctor.com 6.41 out of 10 This one makes sense over the FX20 if all you want to do is workout. Don't expect the bells and whistles of higher end models but it hits the price point by taking out costs where you can and leave in the quality. Treadmillreviews.com 3.5 out of 5 The EVO FX25 has a convenient folding option to allow safe and minimal storage. The price is very reasonable considereing this machine has a built in motion sensor. *Note: Most of the sites, stores or shopping portals listed above sell EVO FX25 Treadmill with discounts and other exciting offers. 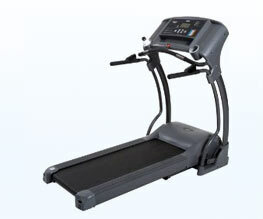 There is a possibility that the some of above websites are not selling EVO FX25 Treadmill now. Toughtrain.com is not liable for such cases or instances. Also we do not recommend any seller for EVO FX25 Treadmill and a buyer should buy from where he/she gets best deal with quality of products, service and on time delivery (shipment).